Amazon Business now reaches over $10 billion in annualized sales and serves “millions” of business customers, the company revealed on Tuesday. Amazon Business is a B2B marketplace – customers purchase items for their businesses as opposed to their households. “Our focus is on improving suppliers’ ability to reach more customers, and to make it easier for customers to buy from suppliers. Wholesale suppliers and distributors are just as much our customer as the end buyer,” the company said, adding that Amazon Business has nearly 150,000 business sellers offering “hundreds of millions” of products. But third-party sellers don’t have a choice about participating in Amazon Business, as we reported in May and again last month. As of August 8th, customers enrolled in Amazon Business can purchase from any third-party seller – and they can use an invoice to pay instead of credit card or other immediate payment methods. While Amazon guarantees payment, sellers must wait longer for disbursements for such orders. Amazon Business also revealed that in the US, Amazon Business serves nearly 80% of the 100 largest enrollment education organizations, 55 of the Fortune 100 companies, more than half of the 100 biggest hospital systems and more than 40% of the 100 most populous local governments. It also gave credit to international expansion for its growth. 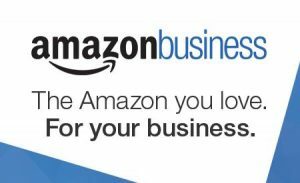 You can read the full announcement on the Amazon Business blog. And for the record, eBay consolidated its B2B offerings under one brand in 2016 with the launch of eBay Business Supply.